You Can Make a Difference - Join the Friends of Gettysburg! 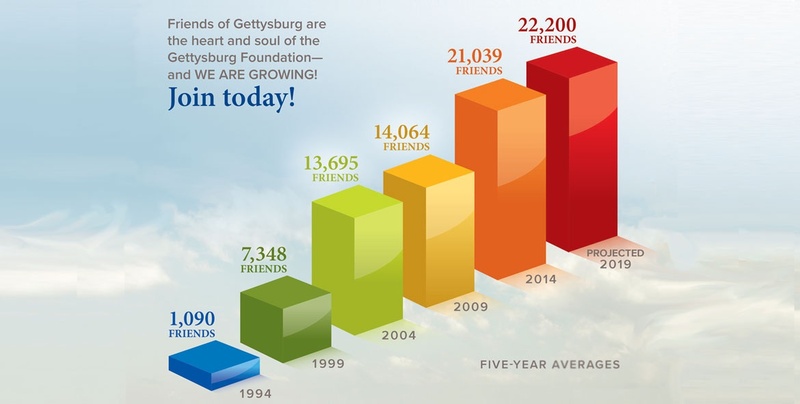 The Friends of Gettysburg are the lifeline of Gettysburg Foundation. As a Friend, your contribution makes possible the Foundation’s mission to preserve the Gettysburg battlefield, care for its monuments, acquire historical artifacts and educate visitors. Friends of Gettysburg receive a number of benefits—see below for details. For a list of frequently asked questions, click here. RECRUITING all 18-40 year olds! Click here to Give Back, Make Cider, and Save History. To make a major gift in support of the Gettysburg Foundation's preservation and education mission, please click here.